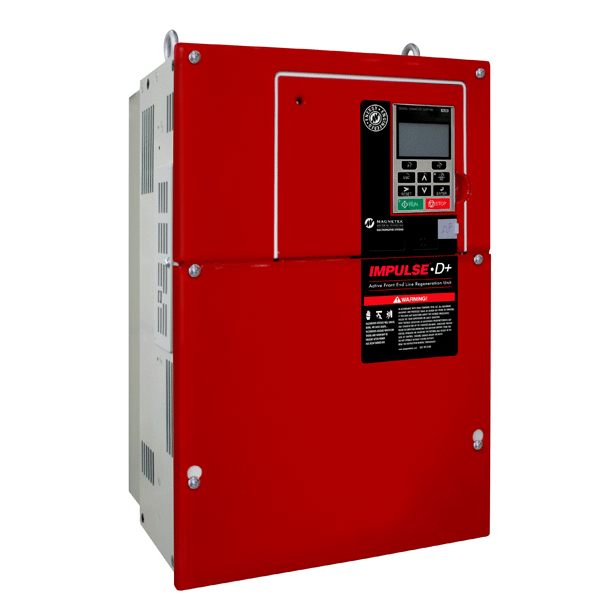 The IMPULSE•D+ HHP is a modular, regenerative inverter platform designed with reliability and serviceability in mind. It utilizes Active Front End (AFE) technology to maximize crane control efficiencies with extremely low line harmonics. IMPULSE•D+ HHP units exceed the requirements defined by IEEE 519 and the common bus architecture allows the drives to share energy. Enclosures are offered with open chassis, NEMA 1, forced air cooled, or air conditioned options.